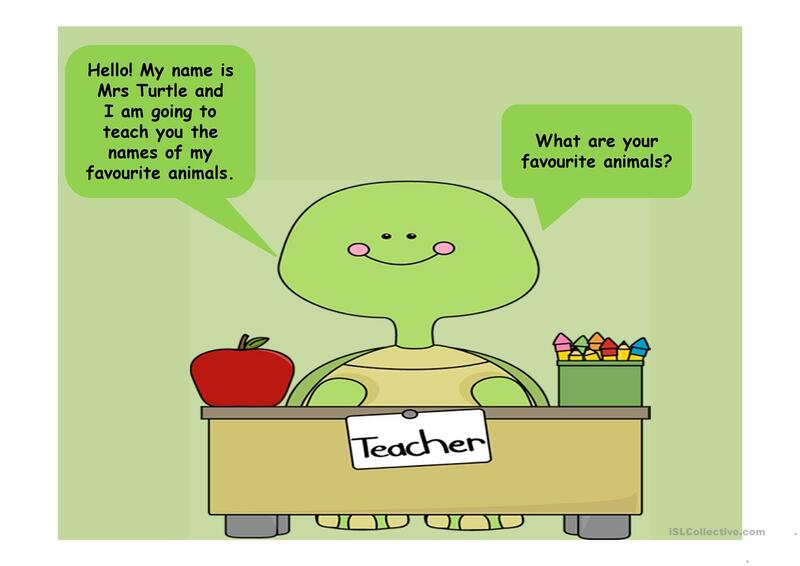 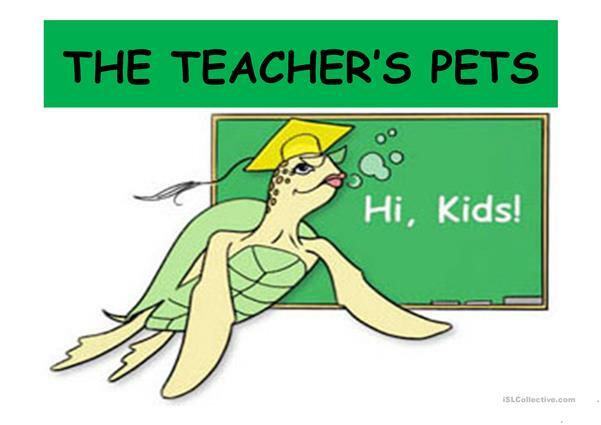 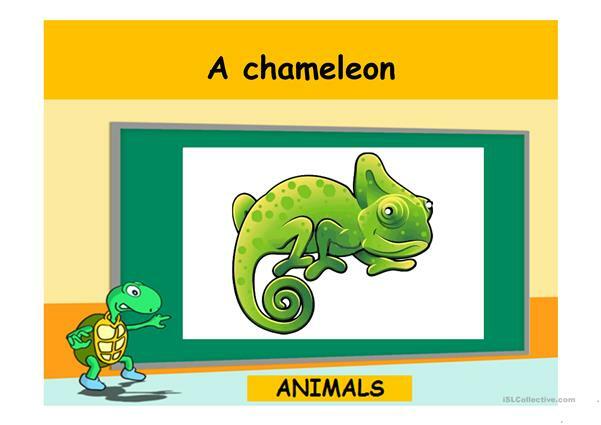 In this presentation Mrs Turtle is going to teach us some common pets and domestics animals. There are some games and a song too. 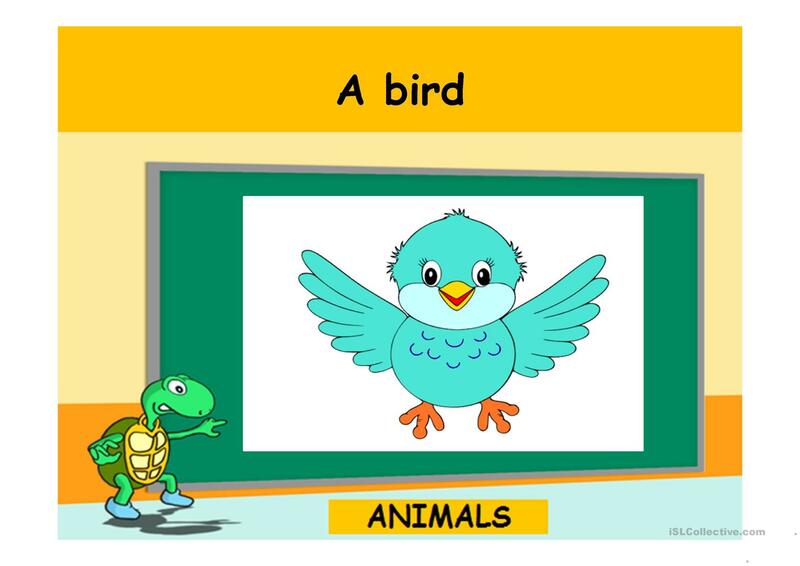 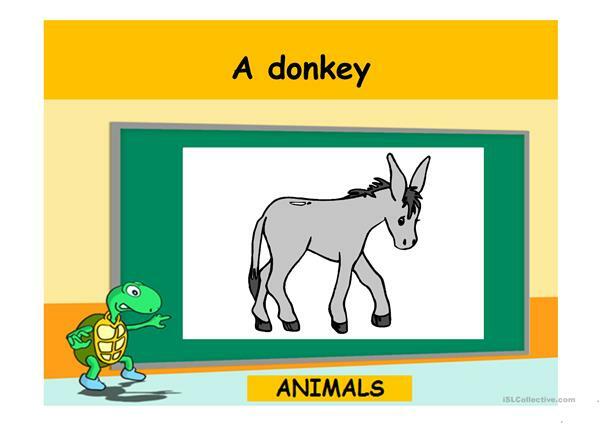 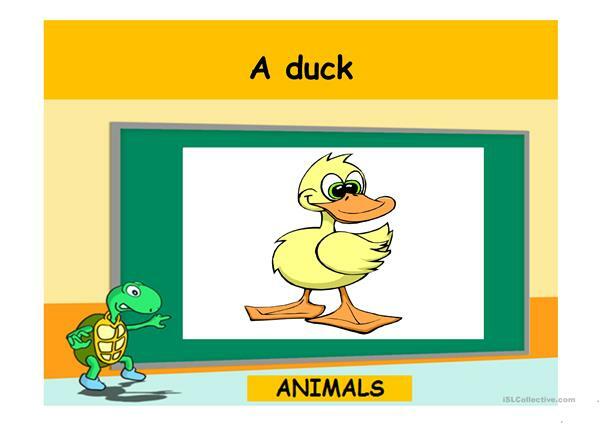 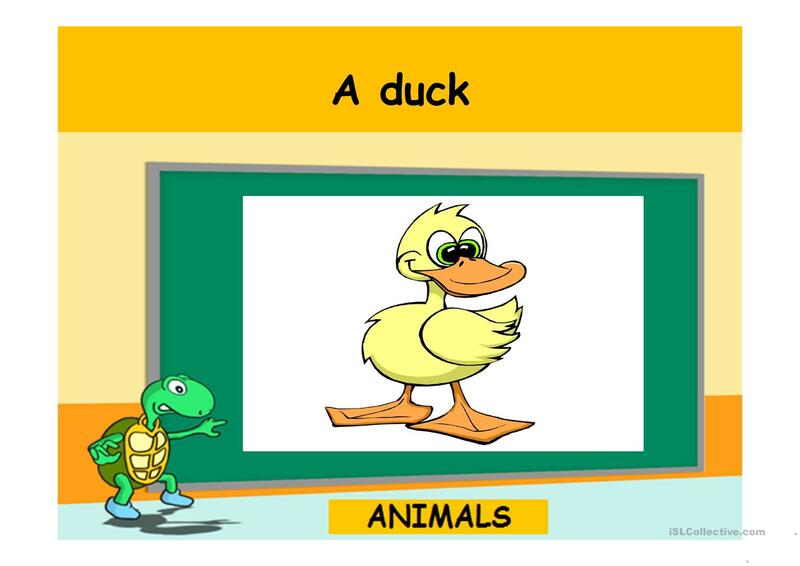 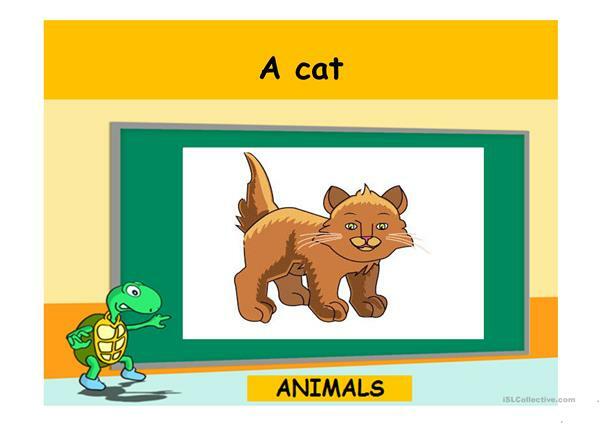 The above downloadable teaching material is meant for elementary school students and kindergartners and nursery school students at Beginner (pre-A1), Elementary (A1) and Pre-intermediate (A2) level. 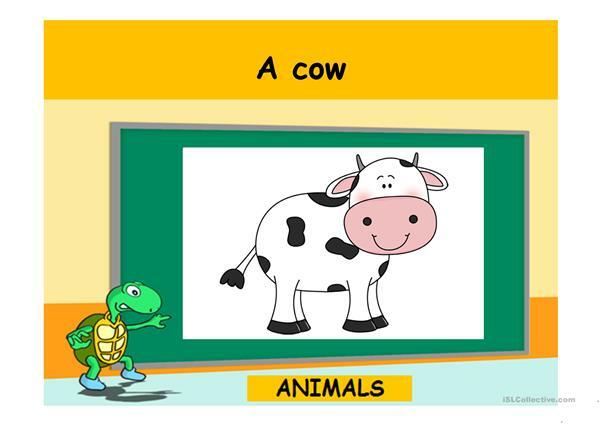 It can be used for honing your learners' Listening, Spelling and Speaking skills. 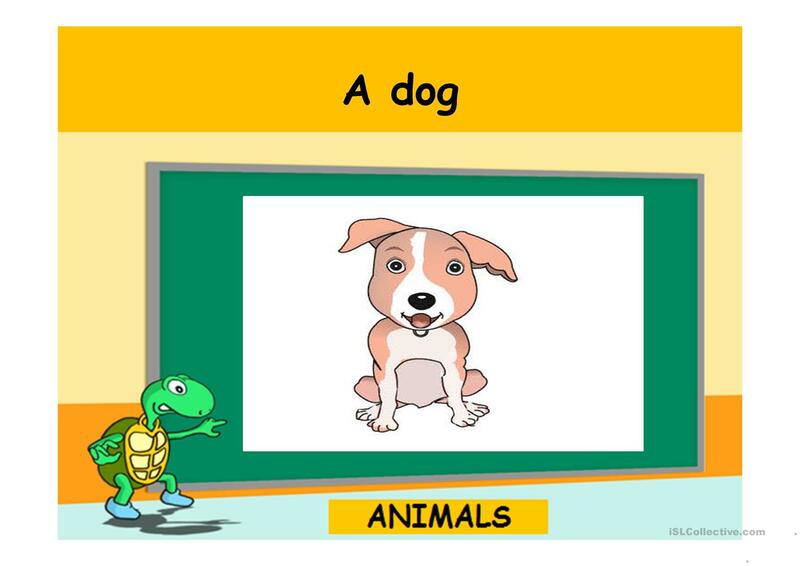 It is focused on the theme of Animals.